This room and all its contents, its very walls, have now, by a magic carpet, been transported to this place to this shelter from the alarms of a dark and frightened world, this great College, this island of youth. -Naumburg family member at dedication of Naumburg Suite, 1932. 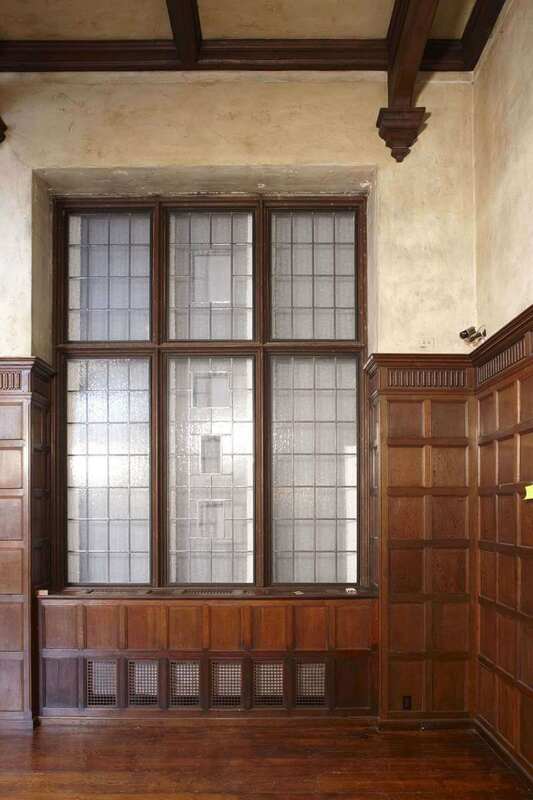 M&A’s Scope: Period apartment dismantling and reinstallation included restoration of stained finishes, new replica plaster walls, installation of projector screen hidden in a beam, restoration of original brass lighting and chandeliers, reconfiguring original metal art-glass windows. 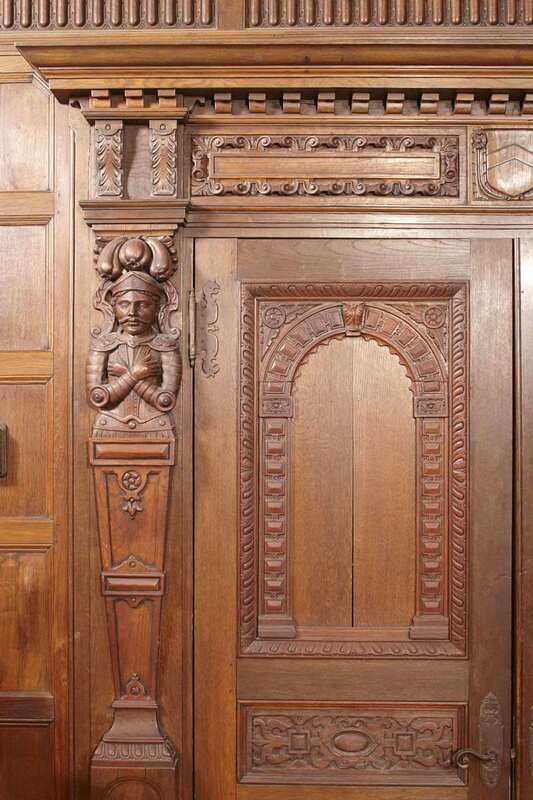 The Naumburg Suite at Harvard’s Fogg Art Museum, is a legacy of the Naumburg family of New York City. 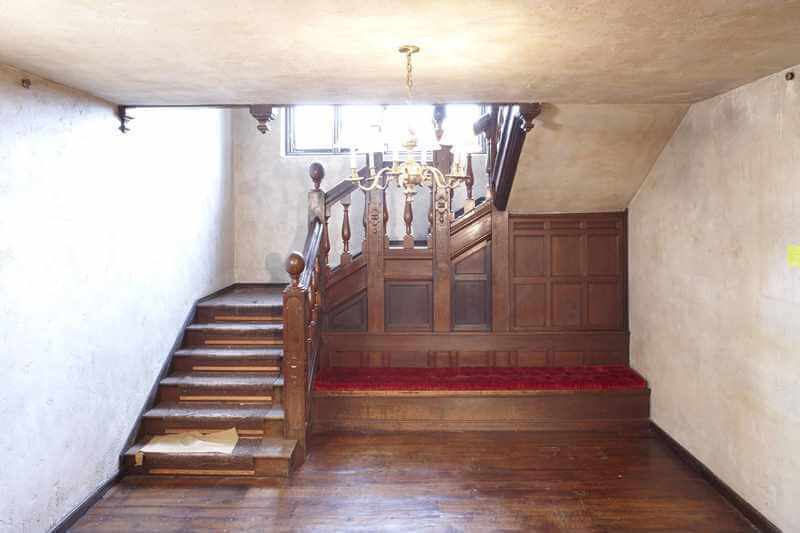 A friend of the arts, Nettie Naumburg left a large number of paintings, sculptures, tapestries, and furniture to Harvard, as well as the principal first floor rooms from her Manhattan apartment, complete with entrance hall and troubadour balcony. 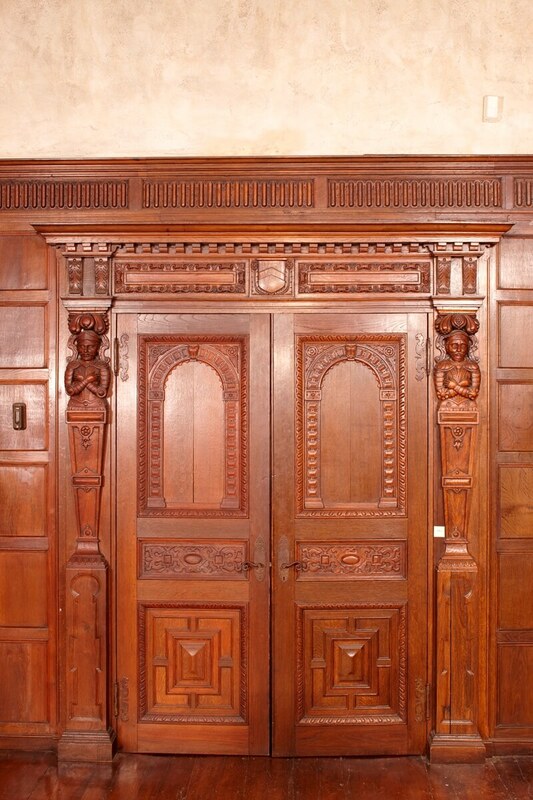 The Jacobian style paneling and ceilings of the first floor rooms were brought by the Naumburgs from England to New York and installed in their apartment as the Hotel des Artistes at 1 West 67th Street. 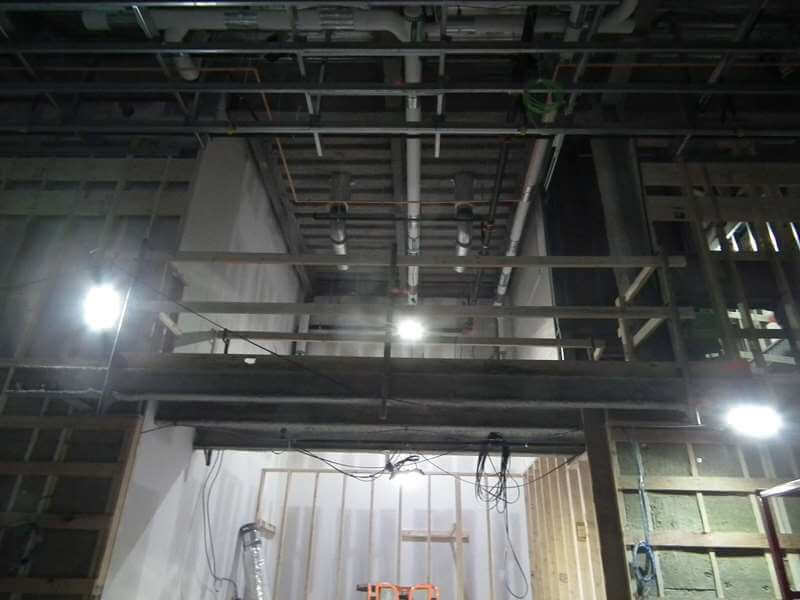 The addition at Harvard’s Fogg Museum built to house the Naumburg suite of rooms was a steel and concrete shell, which allowed false wood stud walls and blocking to be constructed to the exact dimensions required for the install of the paneling and architectural components. 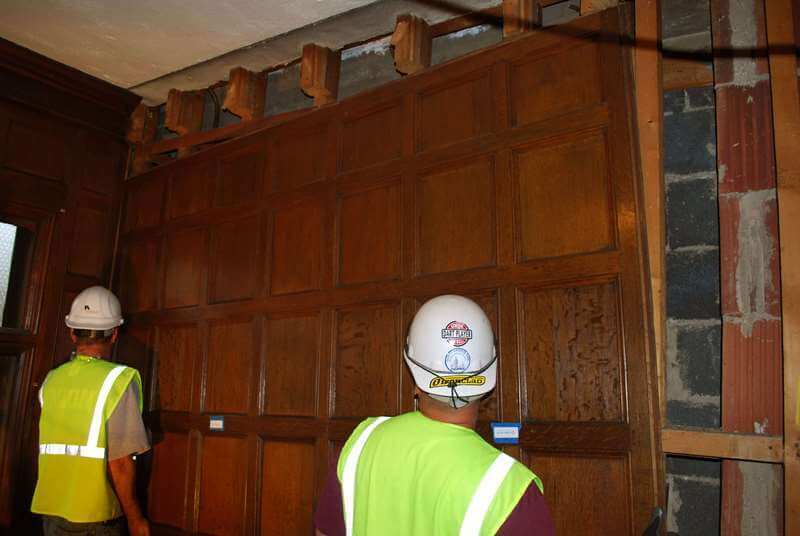 The paneling was attached to the wood substrate with face nailing, and bolts were used to attach the coffer beam ceiling. 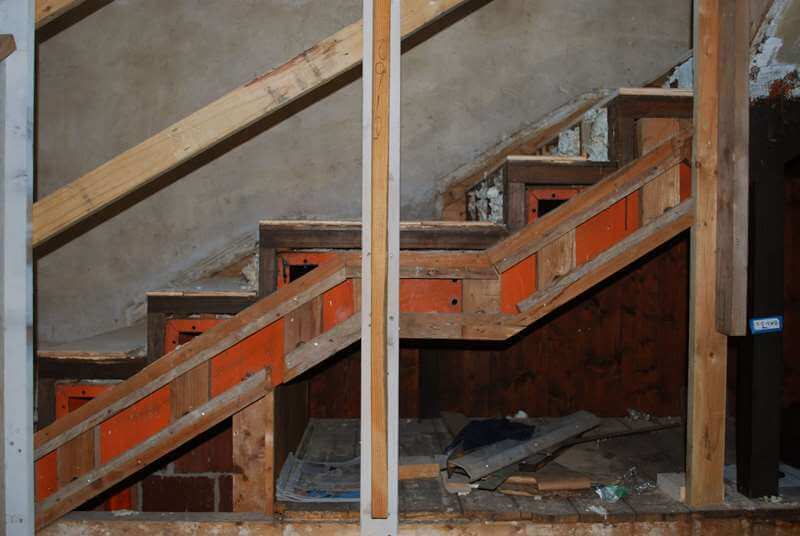 Wire lath was secured to the wood framing to accommodate plaster. 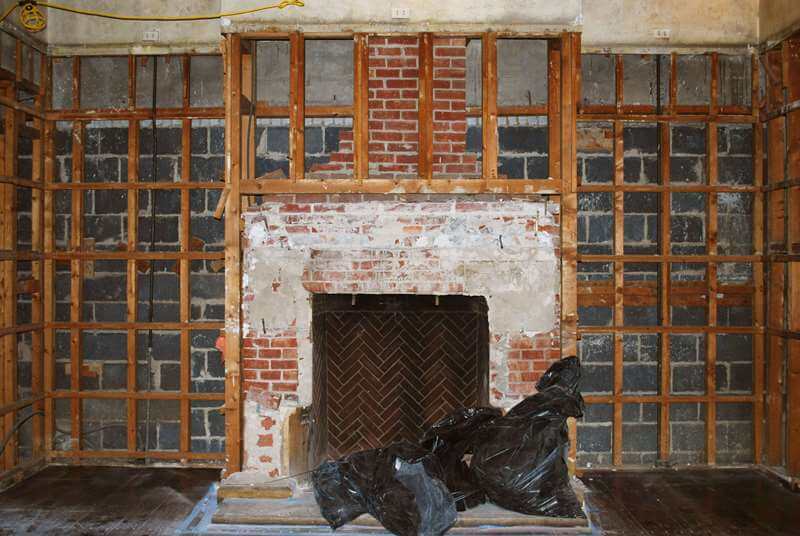 The rooms were dismantled in New York and shipped to Cambridge, where they were reinstalled and dedicated in November of 1932. Starting in 2008, the Harvard Art Museums began a large-scale renovation project to restore and expand upon their existing building. 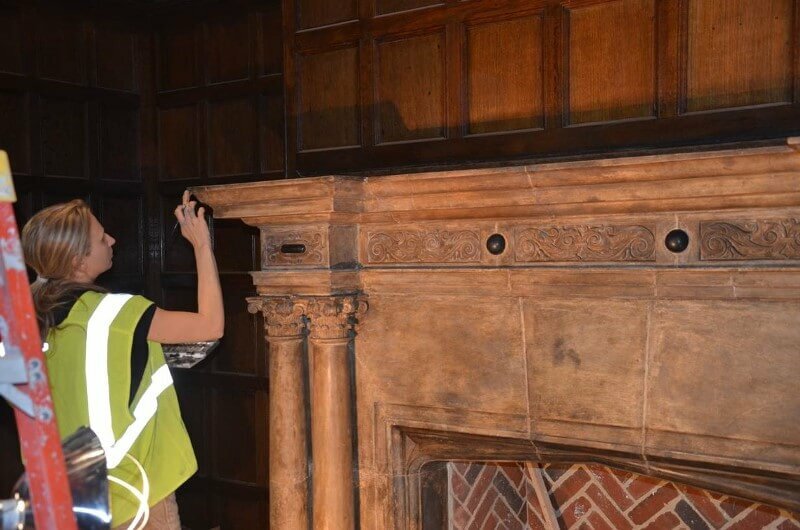 M&A was an instrumental participant in the renovations to the Fogg Museum. 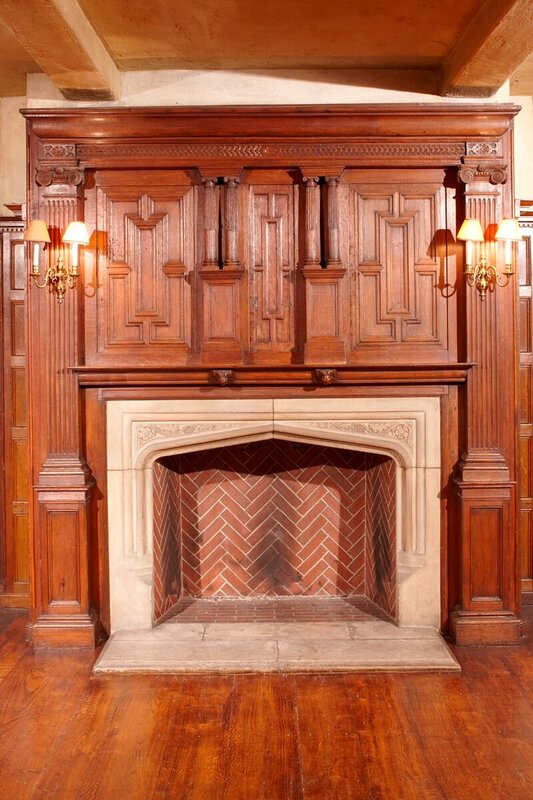 In 2009, M&A provided a complete documentation report of the existing conditions of this Jacobean-style period apartment, which included the paneling, beams, staircase, balcony, windows, doors, limestone and granite fireplaces and mantels, and antique chandeliers and sconces. 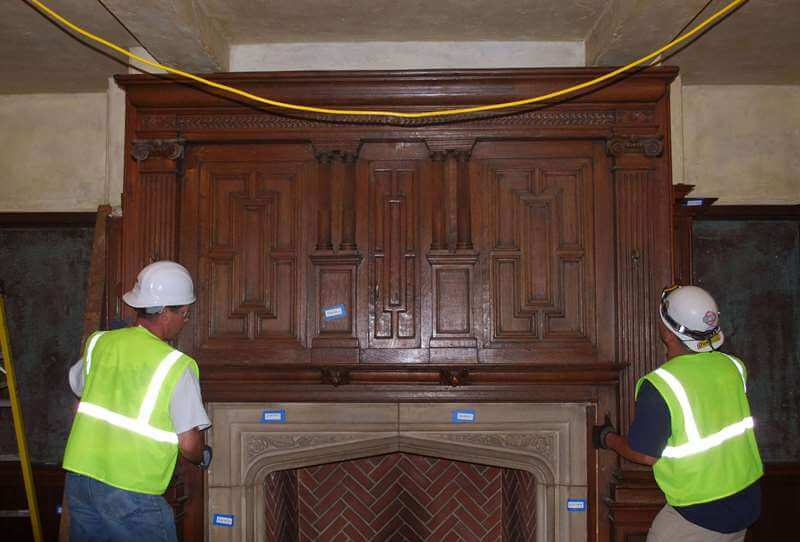 After documentation, M&A preservation carpenters carefully dismantled the entire apartment–marking, measuring, disassembling, and carefully crating over 1,000 individual architectural elements. 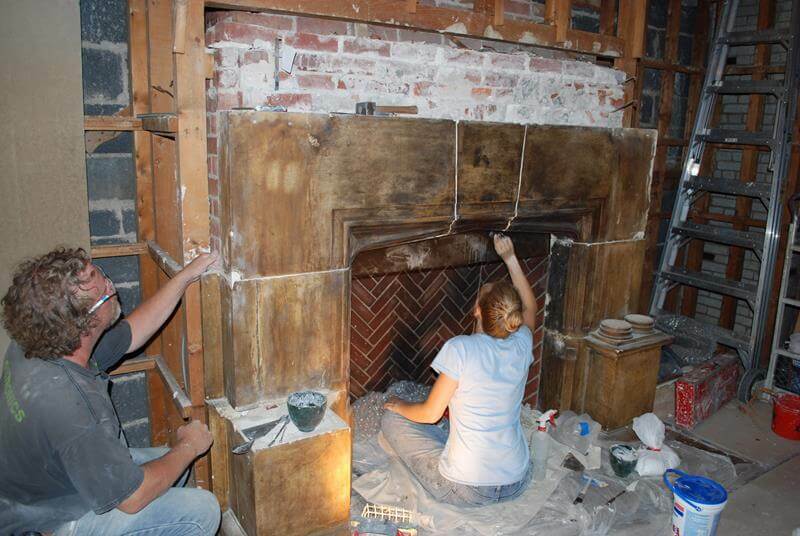 At the limestone fireplace, molds were created as a precautionary step in the event that the disassembly and storage might have broken any of the components. 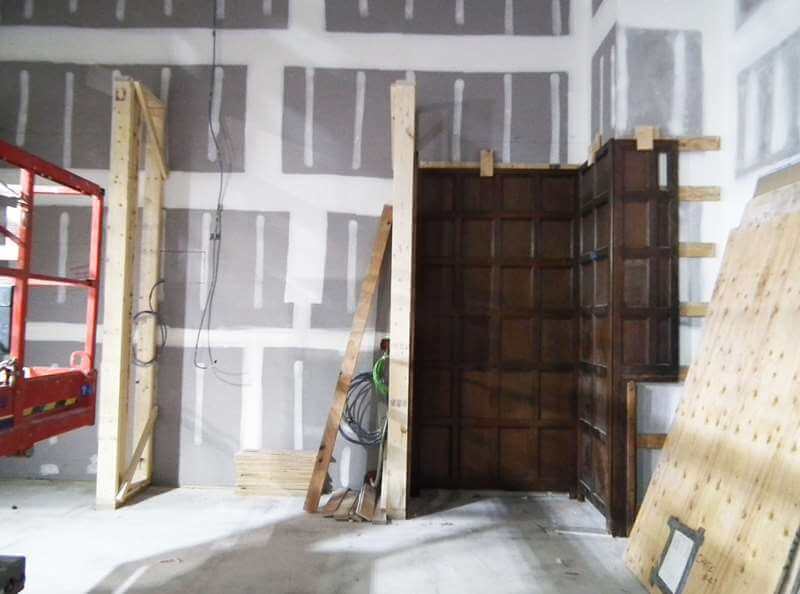 The crated architectural components were stored in a climate-controlled location until their new space was ready for their reinstallation. 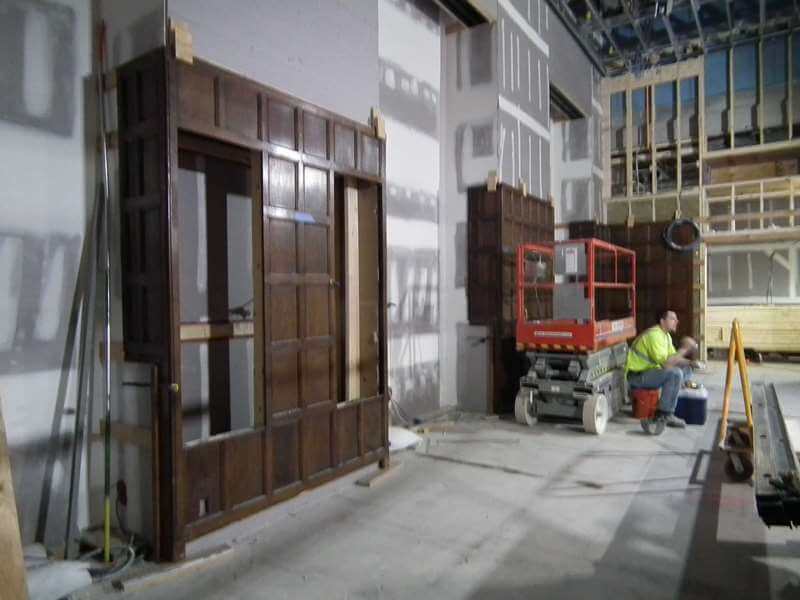 Installation of new and restored doors, Dutchman-patched millwork, and custom moldings to match existing at the slightly reconfigured spaces. Building custom lighting boxes and surrounds for the original leaded glass windows so that they could be viewed and appreciated to their full extent without any natural light passing through. 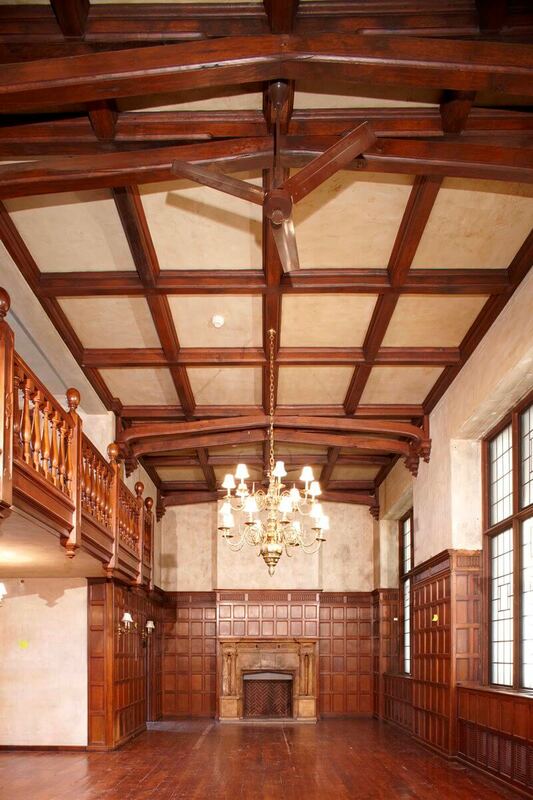 Recreation of the original look of the plastered walls with a new three coat plaster system by M&A’s plaster conservator, replicating the same textured effect so popular in the Tudor and Jacobian eras, with its gentle contours acting as visual evidence of craftsmanship. Modification of one of the coffered beams to accept a projector screen, and building a concealed cabinet in the opposite wall to house AV equipment. Complete disassembly, restoration, replication of missing parts, refinishing, and re-wiring of the chandelier. 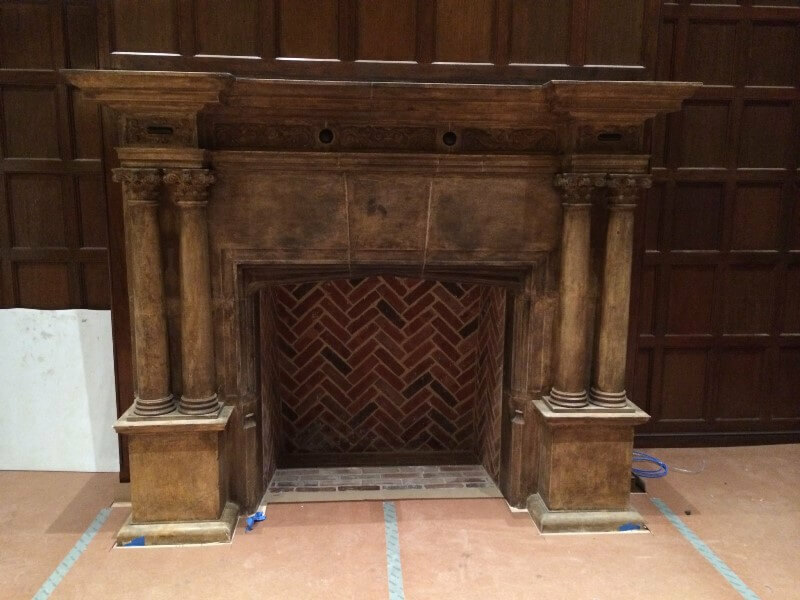 Reinstallation of the limestone fireplace, and conservator’s repairs by M&A’s conservator, overseen by Harvard’s conservators, and re-finishing to match the original patina of the mantel. 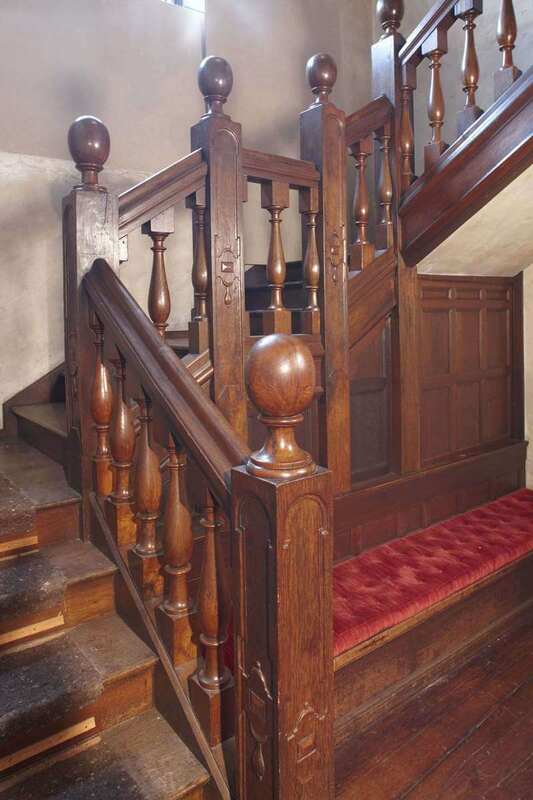 Recreation of the look of the original oak flooring by M&A’s flooring specialist, including distressing the specially procured antique boards, and Dutchmen repairs by M&A as required to simulate the original flooring. 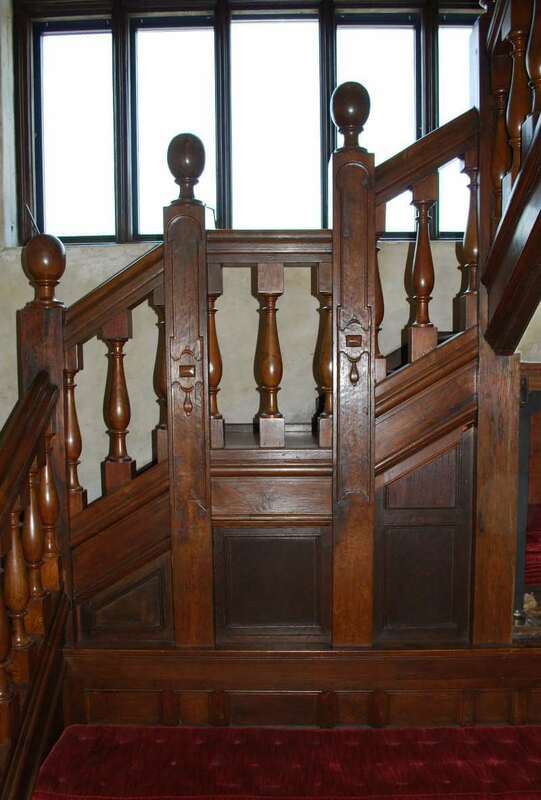 The boards were fastened using rose-head clinch nails. 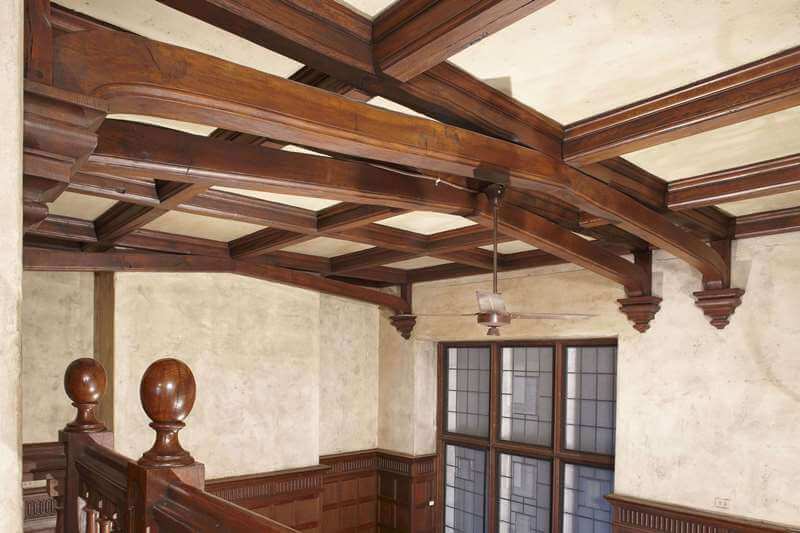 Careful cleaning, polishing, toning, and blending all of the wood finishes into a seamless whole by M&A’s refinishing specialists, respecting the original patina. The Harvard Art Museum complex re-opened in November of 2014 to international praise and recognition. The Naumburg Suite continues to be used for the same functions that Nettie Naumberg requested in her bequest—as a gathering space for museum staff, faculty, and students to gather and be inspirited by the art that surrounded them.